With the rise of YouTube , the indie music has actually emerged out beautifully, which subsided due to the bollywood songs scenario. It is such a relief , to be able to listen to many genres as well as a wide range of musicians who otherwise wouldn’t have made it to our playlists. Having said this, I recently came across this beautiful composition Tore Matware Naina, and I was absolutely mesmerized by this gem of a song by Nirali Kartik. Popularly recognised as a part of Maati Baani, a band she and her husband are a part of. Her forte lies in Hindustani classical music, her renditions are absolutely fantastic.Through her YouTube channel, she has introduced and created a vast audience for Hindustani Classical music which is a very commendable effort. combining elements of Hindustani Classical with various styles of Folk music and New age sounds .Her maturity comes from the fact that she loves to experiment. Along with her talented music composer and producer husband, Kartik Shah, she is doing a perfect fusion of Hindustani music with pop. She was born in Ahmedabad, and started learning music at the age of 9. She was introduced to Hindustani Music by Shri P. G. Shinde at Saptak School of Music and later got the opportunity to learn from Shri Vikas Parikh, an eminent Hindustani vocalist and a leading exponent of Mewati Gharana. Nirali feels blessed that her mother, a singer herself, was the greatest force behind her choosing music as a career and now her husband understands and motivates her. It was their combined love and efforts that gave birth to Maati Baani, a world music band that combines elements of Hindustani Classical and various styles of folk music. 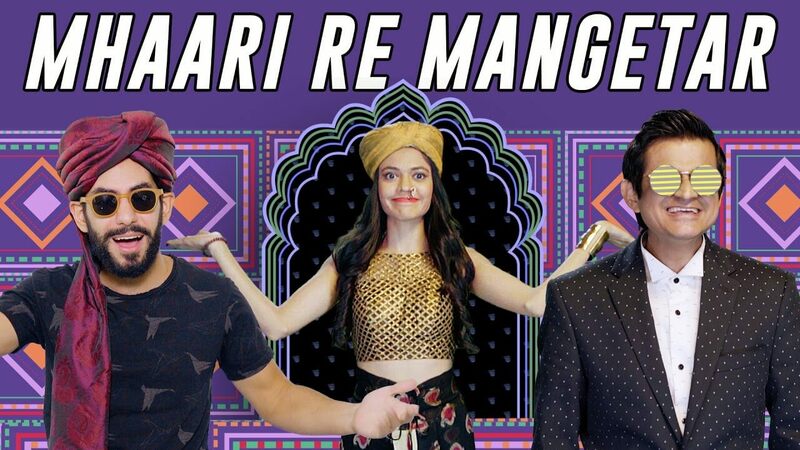 The best and the most unique thing about the videos of Maati Baani is the fact that every element is balanced in all the collaborations, and every artist get their own space which brings out the best in them. What about Bollywood, I ask. “Well, I like my space. I don’t like too much crowd, either physically or mentally. And Bollywood is extremely crowded,” she says with a twinkle in her eyes. Yes, perhaps it is extremely crowded there. And it is unlikely that someone as talented and down to earth as this 31-year-old singer will find enough appreciation there. At the moment, however, she is happy in her own space, doing her bit for the society. “I will love to get associated with some organization someday that allows me to take music to the very grassroots levels. Where I can share my talent with those less privileged,” she dreams. Nirali Kartik and Kartik Shah of the two-member band MaatiBaani began as a fun experiment in 2012. Kartik is trained in western music and Nirali’s vocals are earthy and mellifluous. Their music takes off with the two backgrounds and shoots off into various directions. Their initial videos show elements of Rajasthani folk, street music, and even French vocals! Boondan Boondan is also a classic from the singer. The freshness and the earthy feel of this song makes it a treat to the ears. Anyone can fall in love with her angelic voice and such a beautiful smile.How we wish the monsoon was here already. P.S: Also check out the song Mhaari re Mangetar by maati baani here.